North Carolina boaters are typically urged to proceed with caution on the state’s waters, but boaters have recently received a new warning: watch out for whales. A large number of whales were spotted close to the Farallon Islands early last week, and boating enthusiasts were being warned to operate with caution. In just a single hour, approximately 115 blue, fin, and humpback whales were spotted near the island. It is important to understand that the risk associated with running afoul of one of these large sea creatures is minimal; however, it is still possible. Boaters are being told to follow federal distance guidelines and maintain a respectable 300 feet of distance from the whales. Previously, a family had an unexpected encounter with a dolphin that resulted in injuries to the family. It is thought that the whales have come to the area in such high numbers because of the large amount of krill to be found. Krill are the staple diet of blue whales. The number of anchovies, a favorite for humpbacks, is also thought to be a contributing factor. Whales are the dominant species in the area, but their numbers are higher today than they have been in the past. Thomas reports seeing 25 humpbacks on a single whale watching tour, and in San Francisco, people have seen 8 to 10 humpbacks just a mile offshore. The heightened whale population is encouraging, if not dangerous to boaters. If you plan on heading out on the ocean this season, be aware of the presence of these large mammals. Not only can running into a whale severely damage your boat, but the resulting accident could cause serious injury to you and your passengers. If you have been injured in a boating accident, please contact our offices immediately. We are here for you. Our experienced personal injury attorneys will fight for any compensation that you may be entitled to by law. Call us now to speak to a member of our team at no cost to you. Boating is a popular pastime in North Carolina. Hundreds of people purchase new boats every season with big plans to spend ample time on ocean waters. If you are one of the many in the market for a new boat this year, we urge you to support the students at Cape Fear Community College. Students in the popular boat-building program will be putting their vessels on the auction block at the end of the month. The custom-made boats are true works of art and as seaworthy as they come. 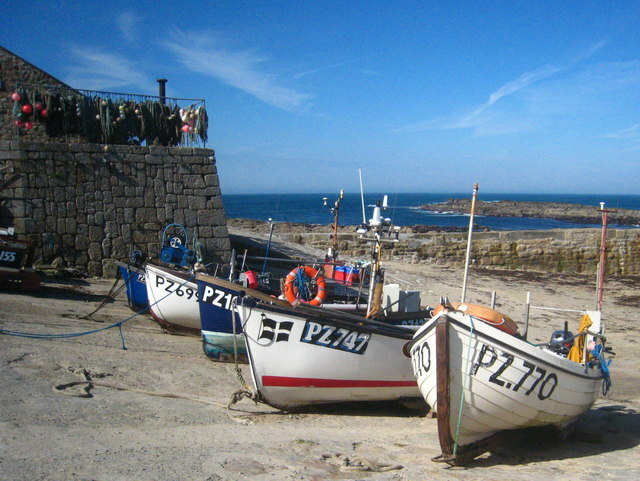 Taking about a year to complete as part of a major class project, the vessels will be ready for purchase by the public. The wildly popular course has students that range in age from 18 to 80. As part of the course, the students are taught how to build boats through instruction that includes launching and lofting. The course also includes instruction on the proper use of power tools, making prior knowledge unnecessary. Some of the students are enrolled in the course simply due to a desire to build their own boat. Others want to get into the industry. When that is the case, graduates are able to pick and choose among a variety of jobs upon graduation, finding that employment comes easily. Of this year’s vessels, the smallest is 13-feet and made of wood. The largest student project is a 17-foot outboard powered skiff. The course instructors encourage students to build boats that can be completed in a year’s time. Because the boats will be going to auction and in the interest of teaching as many skills as possible, the course includes a blend of sail and power, modern and traditional boat construction. The boats that were built by students this year are being housed at the CFCC shop and will be put up for auction on the state surplus website. All proceeds from the auction will go towards funding next year’s students’ projects. You can visit the site to bid on the handmade boat of your dreams. If you have been injured in a boating accident in North Carolina, we urge you to contact our offices as soon as possible. Our personal injury lawyers are here for you. Call us today for a free initial consultation, and let us help you and your family get your lives back on track. Call now. An accident that claimed the life of one teen and left another seriously injured was caught on film by an Ohio man. According to police, Paul Pelton, 41, recorded video of 17-year-old Zachary Goodin as he lost control of his vehicle after speeding over train tracks then crashing into a home, an SUV and a tree. Rather than rendering aid to the teens after the accident, Paul Pelton, 41, opened the door of the crashed vehicle while one of the teens was dying and another was critically injured and continued filming even as the vehicle caught fire. Neighbors to the crash scene came to help pull Goodin out of the vehicle. The passenger, Cameron Friend, 17, was taken unconscious to an area hospital where he later died as a result of his injuries. Pelton reportedly posted the video of the tragic accident on Facebook and attempted to sell the footage to local news agencies. The Lorain Police Department arrested Pelton on charges of vehicle trespass. Police say that Pelton never attempted to render aid to the accident victims but rather attempted to profit off of the misfortune of others in an emergency situation. Whenever someone is a witness to an accident, if people are seriously injured and in trouble, it is common decency to offer assistance to the victims. In some cases, failure to render aid is a criminal act. Call Auger & Auger today and let us help you get the compensation you need to get your life back on track after an accident. Call us today. North Carolina Invokana lawyers Auger and Auger have begun accepting cases for victims of type 2 diabetes medications including Invokana and similar medications Infokamet, Farxiga, Xigduo XR, and Jardiance. Just two months ago, the FDA released a warning to consumers that taking Invokana may lead to ketoacidosis, a condition that can cause serious complications including coma or death. Invokana and its potential risks and side effects are currently being investigated. In May, the Food and Drug Administration issued a public warning regarding Invokana. In that warning, the FDA reported that anyone taking the drug should pay close attention to any side effects they experienced. Difficulty breathing, nausea, abdominal pain, confusion, and unusual fatigue should alert patients to seek immediate medical attention. The drug puts people at risk of developing ketoacidosis, an extremely serious condition that can be fatal if left untreated. These drugs are SGLT2 inhibitors. That is, when they are combined with a prescribed diet and exercise regimen, the drugs help the patient control their diabetes by lowering blood sugar and improving glycemic control. Invokamet differs slightly in that it is a combination of Invokana and metformin. It is utilized when either drug is not sufficient in controlling diabetes on its own. In the United States, diabetes is seventh on the list of causes of death. Left untreated or unmanaged, type 2 diabetes can eventually lead to nerve damage, blindness, heart disease, kidney failure, high blood pressure, and other serious problems. These types of drugs help the kidneys remove excess blood sugar through the urine. Although the FDA has released a warning about the potential dangers of Invokana and similar drugs, there has been no official recall issued. It is important to note that the investigation is in its early stages. Investigations such as this can take years to complete. It is when these investigations are completed that voluntary and involuntary recalls are issued. Even though there has been no official recall, patients taking the drugs are strongly urged to pay attention to their bodies for signs of ketoacidosis. Although potentially fatal, the condition can be treated if detected early enough. When your body is unable to produce enough insulin, your cells are unable to accept an adequate amount of glucose. Ketoacidosis is a condition in which your body begins to break down fat for fuel as an alternative to glucose. Symptoms of ketoacidosis include fruit-scented breath, frequent urination, nausea and vomiting, fatigue, weakness, confusion, shortness of breath, hyperglycemia, and high ketone levels in the urine. While any of these symptoms should alert you to the need to seek medical attention, never ignore an inability to keep food or liquid down, blood sugar levels that do not respond to self-treatment, or urine ketone levels that are moderate to high. Patients should seek immediate medical attention if blood sugar levels persist above 300 milligrams per deciliter, multiple symptoms of ketoacidosis are present, or excessive ketones are present in the urine. Remember that, when left untreated, ketoacidosis can be fatal. Attorney and founding partner Herbert W Auger is heading the Invokana lawsuits at Auger & Auger. If you or a loved one has suffered any significant health issue or complication after taking Invokana or Infokamet, contact our offices at your convenience. Your initial phone call is free and we do not charge you a fee unless we obtain compensation for you. Your call and information will be kept confidential. Each case will be handled on a contingency basis, meaning we do not accept a fee unless we settle your case in your favor. Call our offices today and tell us how we can help you. Last Sunday, two adults and two children went on a fishing trip on the waters of South Carolina. They were rescued by the Coast Guard on Monday morning, two miles from the wreckage of their capsized vessel. The group left Remley’s Point just before dawn on Sunday. The boat lost power around 9 a.m., erasing the ability for the group to summon help. As high winds began to kick up powerful waves, the boat overturned and all four aboard were tossed into the water. When no one on the boat was heard from by Sunday afternoon, the spouse of one of the adults on board contacted the Coast Guard. As the Coast Guard turned into a longer pattern of searches, they spotted an orange life vest being waved in the water by one of the boys. The four had drifted close to two miles from the capsized vessel. Even though they had strayed, through no fault of their own, from the boat, the four would eventually have been found, according to the Coast Guard. Why? Because they did the right thing in telling family members exactly where they were heading. Once the four survivors realized that they had been spotted, the boys wasted no time in being rescued. The pair swam for the Coast Guard’s boat instead of waiting for it to come to them. The pre-teens were pulled aboard, sunburned but happy. The boat reached the men who were also pulled up and onto the rescue boat. The rescuers reported that all of the survivors were fatigued, but that the children still had an ample amount of energy. Hungry and thirsty, the boys were given beef jerky and water by the crew on the Coast Guard vessel. Rescue workers credit the proper wearing of life jackets and a Yeti cooler as keeping the survivors afloat. Both men and the two boys were able to walk off of the Coast Guard vessel of their own accord once it docked. Each walked into the arms of frantic family members happy for their safe return. If you have been injured in a boating accident, our personal injury attorneys are here for you. We will fight to get you and your family the compensation that you may be entitled to by law. Call us today for a free consultation, and let us review the facts of your case. We are here for you now. Riding a jet ski is an exciting way to spend an afternoon. The salt water spraying your face, the wind whistling past your ears…there may be nothing better. Scratch that. Better would be sharing the experience with a friend. When you ride your jet ski with a passenger, a few things change. Much like riding a motorcycle with someone on the back, you have to be more aware of the added weight as you accelerate, brake, and turn. If you decide to drive a jet ski with a passenger on board, take these tips into consideration. Both you and your passenger should be wearing life jackets. If your passenger doesn’t have one, and you don’t have one they can borrow, they don’t get to ride. It really is that simple. Does your friend know what to do if something were to happen to you? If not, be sure to give them a brief safety lesson before you take off. Your friend should, at a minimum, know how to power the ski, steer it, and put the brakes on. The time for tricks is not when you have a passenger on board. Make sure your friend knows that they are expected to face forward at all times. Ask that they hold on to you in a way that is comfortable for the both of you. Don’t take off full throttle. Give your passenger time to get used to the ski. Driving slowly will also give you an opportunity to determine how the ski is going to handle with a second person on board. Do not speed up without telling your friend your plans. The ride is supposed to be fun for both of you. Your passenger’s body language will tell you a lot about how comfortable they are and how much fun they are having. If your passenger seems to be frightened or worse, ill, bring the ski to a stop and find out what is wrong. Communication is key. 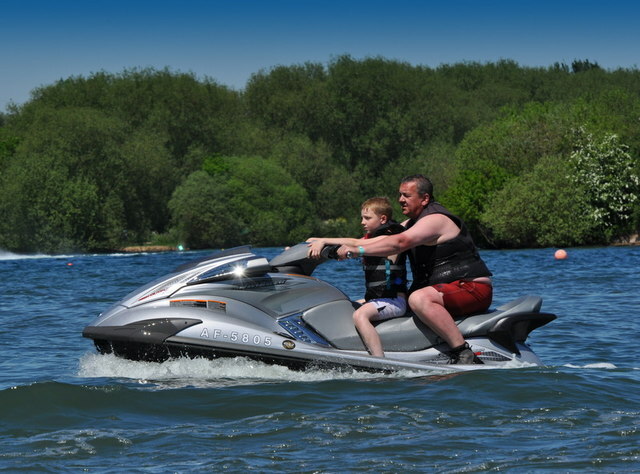 Jet skis are fun for people of all ages. If you decide to take a passenger along for the ride, follow the tips above. You are both sure to have a better time if you do. If you have been injured in a jet ski accident, our experienced attorneys are here to help you. Call our offices today for a free initial consultation. How do you plan to use the boat? That should be your first consideration. There are three main ways that you can use a boat: fishing, cruising, and watersports. If you plan on entertaining guests, a cruising boat is a good choice. If you plan to fish, look for a boat designed with that purpose in mind. If your plans include pulling friends and family on rafts or skis, look for a boat designed for watersports. It is generally recommended that your first boat be no larger than 24 feet. Any boat bigger than this will be loaded with features you won’t understand or need right away. Keep in mind that once you learn how to operate your vessel safely, you can trade it in for that larger boat you have your eye on. Your next decision should be whether you are ready to shell out the money on a new boat or would prefer to buy a used one. If you choose to make your first boat a used one, be sure that it is still covered by warranty and that you hire a marine surveyor to inspect the boat for you before your final purchase. While you may not be able to take the boat you are considering out on the water, you can climb aboard and check it out. Determine if the boat is a comfortable fit. You should be able to reach the controls comfortably, have plenty of leg room, and be able to quickly gain a basic understanding of the engine hatch. When you take the time to choose your first boat carefully, you and everyone you share the water with are safer. Don’t choose your first boat based only on looks, you can buy your next boat that way. When it comes to your first, make sure that it is a boat you can learn on and control easily. If you have been hurt in a boating accident, call our offices for assistance. Our personal injury attorneys are here to protect your rights and get you the compensation you may deserve. Call now. An incident involving a teen having a grand mal seizure while attending a concert venue has led to a lawsuit being filed by her mother against several Alabama law enforcement agencies and the venue hosting the concert. The lawsuit alleges that several police officers from Rainbow City and Gadsden used excessive force and gross negligence when handling a medical situation on January 16th during a hip-hop concert. After the artist had left the stage, concert goers stampeded causing the girl to fall and be trampled, thus causing the seizure. Court documents in the lawsuit allege that an employee of Center Stage, the company that booked the event, “unceremoniously dumped” the teen on the floor in the lobby. Police then proceeded to pin the teen to the ground holding her in a chokehold while using a Taser three times on her. The girl was rendered unconscious and taken to an area hospital. The suit claims that officers joked about the girl’s condition and suggested that she be committed to a mental health facility. The girl was accompanied by her sister who called their mother who was at home at the time of the incident. When the girls’ mother arrived on the scene, she claims that she was also injured by an officer when she tried to assist her daughter. The woman was placed under arrest for disorderly conduct. When people go to a concert to see their favorite performers, no one ever thinks about having an accident or medical incident. It seems even harder to imagine that police or any other authority in charge would fail to recognize the situation and instead of offering help, make the situation potentially worse. Communities across the country have recognized the need to hold police accountable for their actions. Even President Obama has called for police officers across the country to be outfitted with body cameras that can more accurately keep a record of incidents between police and the public. If you or a loved one has been injured through no fault of your own, contact us today. At Auger & Auger, we have years of experience and we specialize in liability and personal injury lawsuits. We will not only represent you in making sure those responsible are held accountable, but you may also be entitled to compensation for any medical bills, loss of income for time off the job as well as pain and suffering. Your rights are protected by law. Give us a call today to schedule a free consultation and legal analysis. Last week was shark week on the Discovery channel, but it has been what some would call shark season on the coast of North Carolina. Eight people have been bitten by sharks in less than a month in the Atlantic Ocean. News of the attacks has spread far and wide, making nightly reports in countries around the globe. People are currently being urged to stay out of the water on certain beaches across the state. According to Larry Cahoon, a shark expert, you can protect yourself from shark attacks by taking specific precautions. Sharks are more likely to attack when they hear fish struggling as they are being reeled into fishing boats. If you see fishermen on the water, stay out. Hearing these fish struggling is akin to ringing the dinner bell for any nearby sharks. Cahoon also says that shark attacks can happen at any time. Do not believe it when you read that most attacks happen near dusk and dawn. Sharks have poor eyesight no matter the time of day, and these ocean dwellers explore with their mouths. By the time they realize you aren’t a meal, you have already been bitten. While some beaches have been closed, just as many have not. Experts are telling people to participate in water sports like jet skiing, boating, and surfing with caution. If you have a cut and are bleeding, get out of the water immediately. 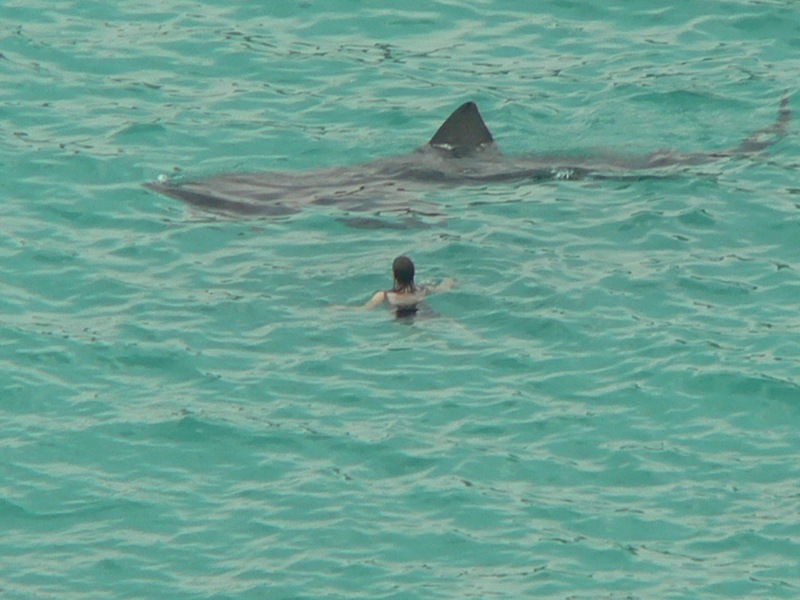 If you see a shark, head for shore and warn others. It is strongly suggested that if you are in a boat or on a jet ski to stay aboard your vessel. Should you capsize or fall off, get back on as soon as you can. If you cannot get back aboard your boat or ski, remain as still as you can while you are in the water. Your struggles can attract sharks that are in the area. You are less likely to be bitten if you stay still. This season’s shark attacks are out of the normal for the area, and researchers are working hard to discover the reason why the attacks have intensified. Until then, people who want to go in the water are cautioned to do so at their own risk. While we cannot help you get compensation for a shark attack, we can help you if you have been in a boat or jet ski accident. If you have been injured, contact our offices as soon as possible. Our personal injury attorneys are here to work for you and get you the compensation you may deserve.